Little did he know that this nondescript act would set off a chain of events so large, it would change the course of history forever. An avalanche of fortune hunters, whose eyes sparkled in awe of the world’s purest, most precious diamonds, descended on this desert land. As a result of the diamond rush, cities grew from the sand, some of which are mere remnants of the past. The German colonial government, which at the time had control over what was known as Deutsch Sud West Afrika (German South west Africa), declared the diamond rich areas of the country as Forbidden Areas or “Sperrgebiet” and small mining operations set up shop within these areas. After World War 11, most of these colonial mining companies were amalgamated to form Consolidated Diamond Mines (CDM), which held the monopoly of the mining rights within this “Forbidden Area”. With independence in 1990, the Namibian Government moved to take control of the country’s diamond reserves. 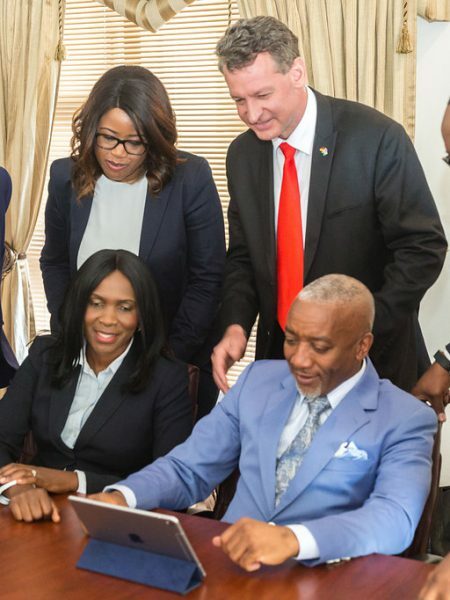 A historic joint venture agreement was signed between CDM and the Government of the Republic of Namibia through which a unique JV operation, NamDeb was born. 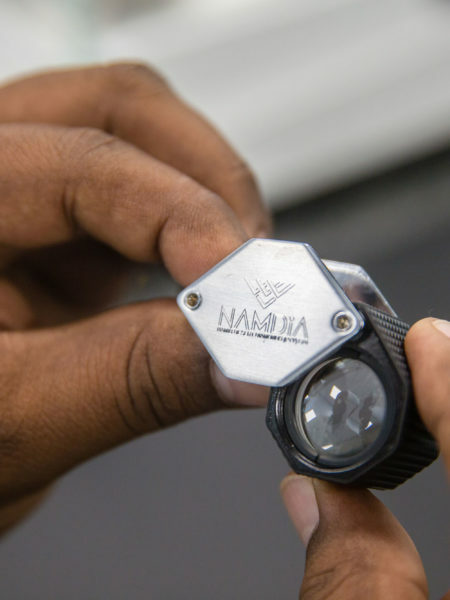 A thorough review of the diamond legislation and regulations revealed that there was a need to open up the country to other industry players and create a level playing field. the result was the Promulgation of the Diamond Act (Act 13 of 1999) in 2000. This Act paved the way for new entrants into the diamond pipeline and led to the diversification of the industry away from just mining and exporting of rough diamonds into dealing and manufacturing of diamond jewelry among others. Soon, beneficiation took centre stage and more than 13 new cutting and polishing companies were established within the borders of Namibia. 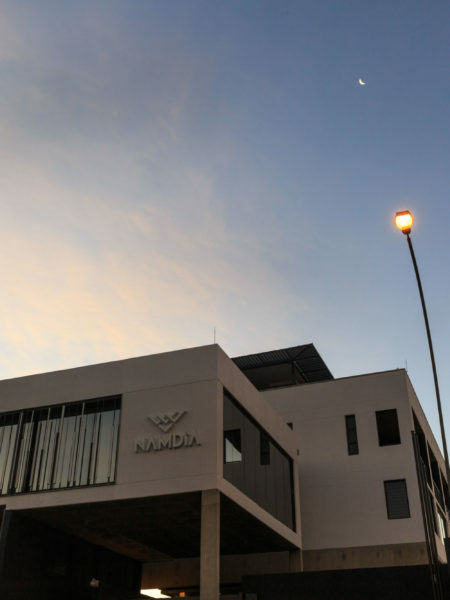 In 2016, the birth of NAMDIA enables Namibia to determine the value of her diamonds and contribute to her socio-economic development.